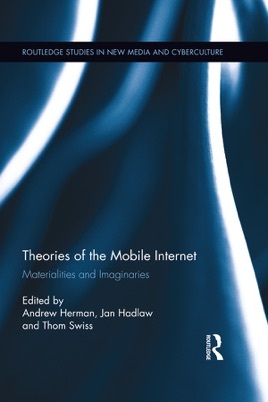 This volume proposes the mobile Internet is best understood as a socio-technical "assemblage" of objects, practices, symbolic representations, experiences and affects. Authors from a variety of disciplines discuss practices mediated through mobile communication, including current phone and tablet devices. The converging concepts of Materialities (ranging from the political economy of communication to physical devices) and Imaginaries (including cultural values, desires and perceptions) are touchstones for each of the chapters in the book.